There is nothing like a beautiful vibrant coloured gemstones to express your individuality, through wearing a piece of bespoke jewellery. Colour and sparkle has the ability to lift your mood. 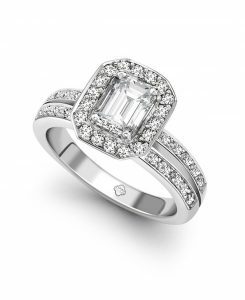 Glancing down at your stunning diamond engagement ring would make you happy every time your looked at it. With an infinite choice of coloured gemstones with at least 50 varieties where to start. Gemstones throughout history have been surrounded by stories of mystical powers. Ability to heal or protect the wearer. 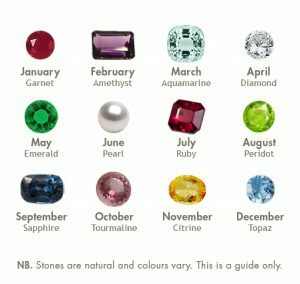 Back to ancient times wearing birthstones as a ring, necklace or earrings, was a wonderful way to celebrate the month of your birth. The spring birthstone Diamond sparkles like no other gemstone and is a symbol of purity. A diamond is made of pure carbon which is the hardest natural mineral on earth . The perfect choice for an engagement ring. If you’re ever stuck for a present idea you couldn’t go far wrong with a pair of diamond earrings or simple diamond necklace. Diamonds which were formed millions years ago, even in the simplest setting this magical stone catches the light an captivates with its beauty. Jewellery design for contemporary diamond rings gives you ifinite possiblilties to create unique jewellery. A slight hint at vintage shown in the lovely diamond ring below. Or a more contemporary feeling using yellow gold as a contrast to the diamonds. There are no more rules in jewellery design. The blood red stone is associated with passion and love. A popular gemstone for use in jewellery for over 500 years. Other than the beautiful red garnets this versatile gemstone occurs in a vast array of colours. 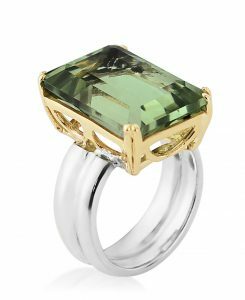 Which includes the rare and stunning deep green Tsavourite below. Garnets are medium hardness which make them suitable for either cocktail or engagement rings, necklaces or earrings. 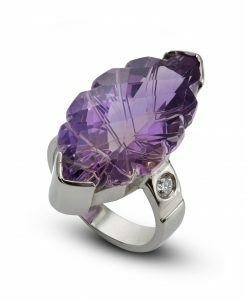 The rich purple quartz stone has been embraced by jeweller’s and wearers for thousands of years. The marvellous colour ranges from pale lilac to deep purple. My favourites are green Amethyst also called green quartz. 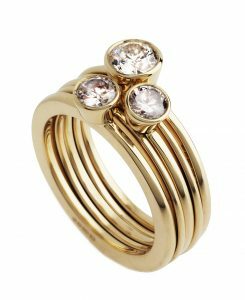 I love using them in rings with contrasting yellow gold settings, which highlight the beauty of the stone. Aquamarine is popular among gem collectors for its stunning pale sea green/pale blue colour. 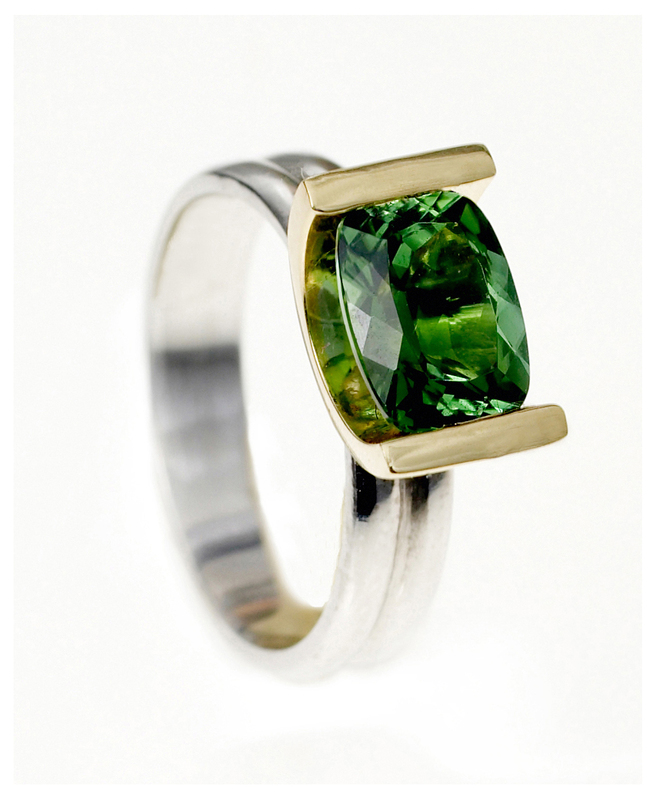 A member of the Beryl family, a hard gemstone suitable for all jewellery including engagement rings. 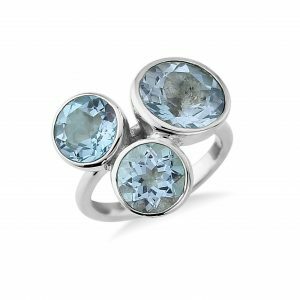 Aquamarine is a gemstone signifying courage which was carried by sailors to protect them. Posted in News and tagged bespoke jewellery, brithstones, contemporary jewellery, diamond earrings, diamond engagement ring, diamond necklace, earrings rings gold rings, engagement ring, necklace, vintage rings, wedding jewellery, wedding rings.